The animal kingdom is crawling with incredible record-breakers that put us humans to shame. So get ready for Guinness World Records: Wild Things to take you on a superlative safari of the planet’s most extreme wildlife. In this exciting new book, get to know some of the world’s most amazing animals. There’s gentle giants and deadly mini‐beasts, voracious predators and cunning prey. 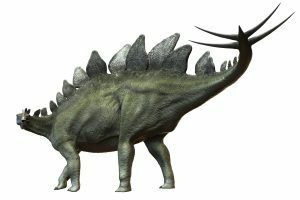 You’ll meet a host of weird‐and‐wonderful members of the natural world, from exotic species on the brink of extinction to wildlife you can find in your own back garden! “This wonderful book is full of eye‐popping facts about bugs, birds and beasties large and small, as well as some of the incredible conservation initiatives going on right now.” – Steve Backshall, presenter, author, explorer and wildlife advocate. 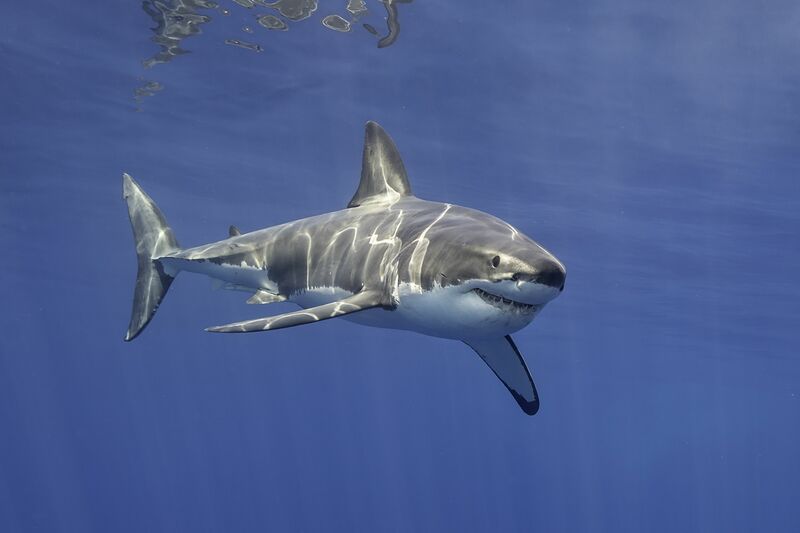 Great white sharks grow to around 4.6m long on average, but some mighty beasts have been measured at 6m – that’s half the length of a bus! 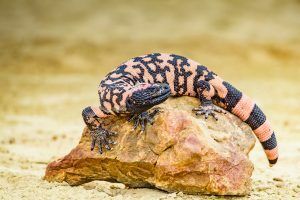 Gila monsters are one of only a few venomous lizards in the entire world. 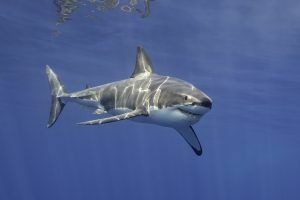 When attacked, they clamp their jaws down on their prey and eject venomous saliva to defend themselves. 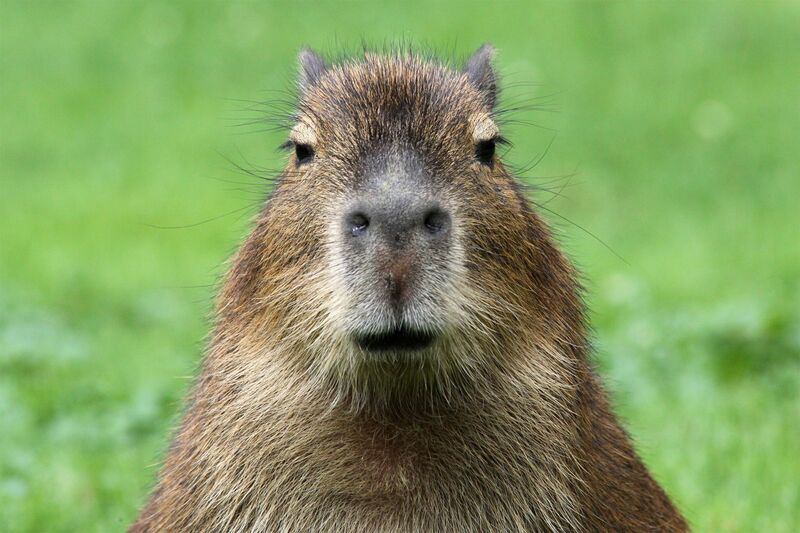 Capybara are the world’s largest rodents. These furry fellas from South and Central America can grow up to 130cm long and 50cm tall – about the same height as a border collie! 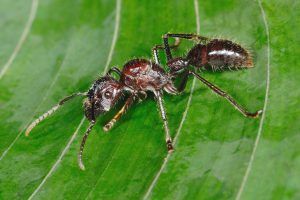 Bullet ant stings leave you in pain for 8 hours! 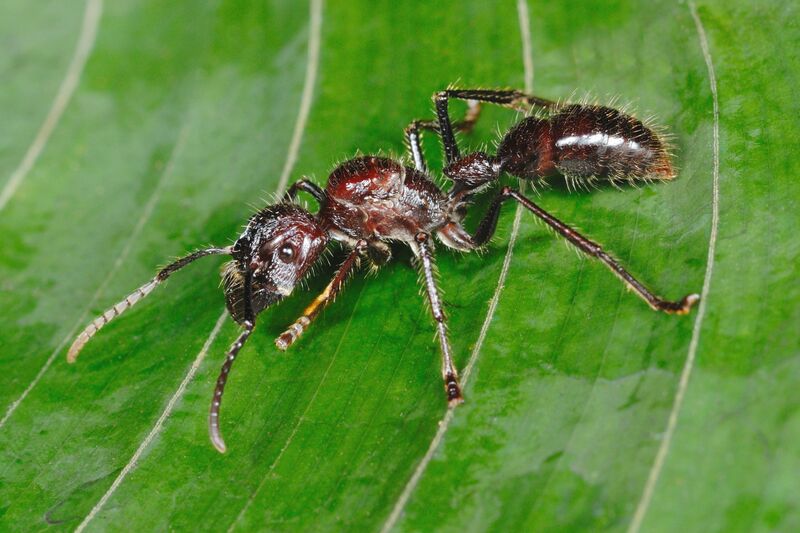 However, the Satere-Mawe tribe in the Amazon rainforest weave hundreds of bullet ants into gloves. To become warriors, boys of the tribe must wear these gloves for 10 agonising minutes, on 20 different occasions. Ouch! 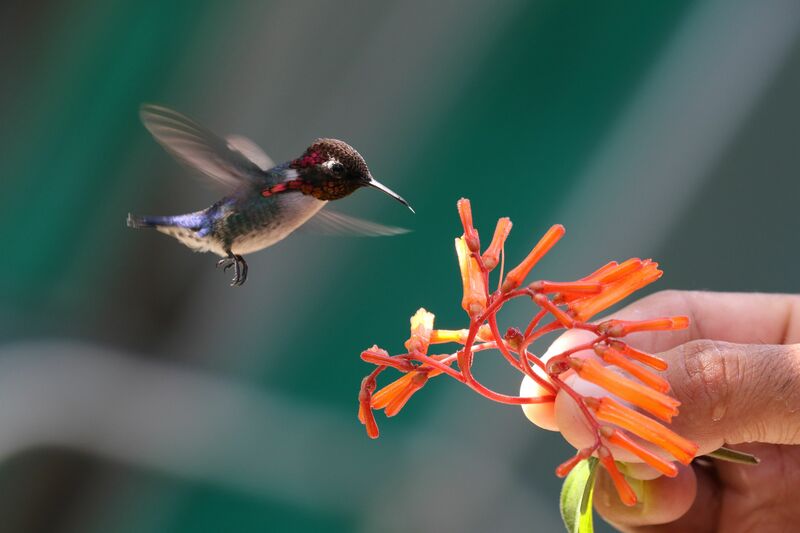 As its name suggests, the bee hummingbird is teeny tiny, with males measuring just 5.7cm! They can be seen feeding on nectar taken from brightly coloured flowers around Cuba. The dinosaur with the smallest brain (in relation to its body) was the Stegosaurus. 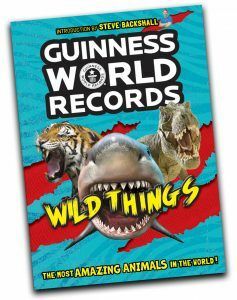 Awesomely, there’s a whole chapter in Guinness World Records: Wild Things dedicated to record‐breaking dinos and prehistoric animals! Win! 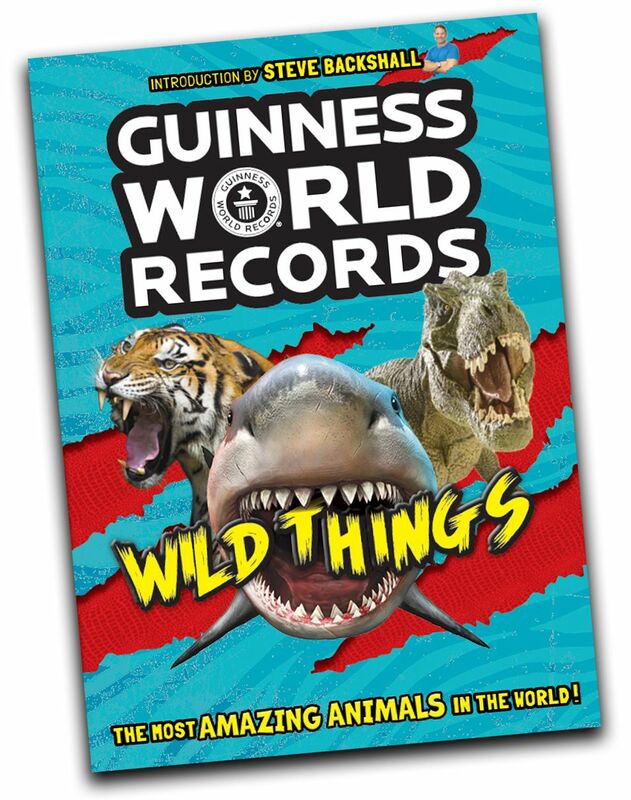 We’ve got five copies of Guinness World Records: Wild Things to give away. Click here to enter our awesome competition.